The Hubble constant — the rate at which the Universe is expanding — is one of the fundamental quantities describing our Universe. 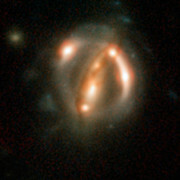 A group of astronomers from the H0LiCOW collaboration, led by Sherry Suyu (associated with the Max Planck Institute for Astrophysics in Germany, the ASIAA in Taiwan and the Technical University of Munich), used the NASA/ESA Hubble Space Telescope and other telescopes  in space and on the ground to observe five galaxies in order to arrive at an independent measurement of the Hubble constant . 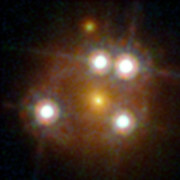 The targets of the study were massive galaxies positioned between Earth and very distant quasars — incredibly luminous galaxy cores. 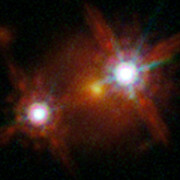 The light from the more distant quasars is bent around the huge masses of the galaxies as a result of strong gravitational lensing . This creates multiple images of the background quasar, some smeared into extended arcs. The study used, alongside the NASA/ESA Hubble Space Telescope, the Keck Telescope, ESO’s Very Large Telescope, the Subaru Telescope, the Gemini Telescope, the Victor M. Blanco Telescope, the Canada-France-Hawaii telescope and the NASA Spitzer Space Telescope. In addition, data from the Swiss 1.2-metre Leonhard Euler Telescope and the MPG/ESO 2.2-metre telescope were used. 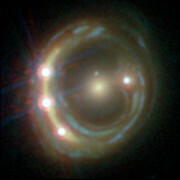 The H0LiCOW team determined a value for the Hubble constant of 71.9±2.7 kilometres per second per Megaparsec. In 2016 scientists using Hubble measured a value of 73.24±1.74 kilometres per second per Megaparsec. In 2015, the ESA Planck Satellite measured the constant with the highest precision so far and obtained a value of 66.93±0.62 kilometres per second per Megaparsec. The papers are entitled as follows: "H0LiCOW I. H0 Lenses in COSMOGRAIL’s Wellspring: Program Overview", by Suyu et al., "H0LiCOW II. Spectroscopic survey and galaxy-group identification of the strong gravitational lens system HE 0435−1223", by Sluse et al., "H0LiCOW III. 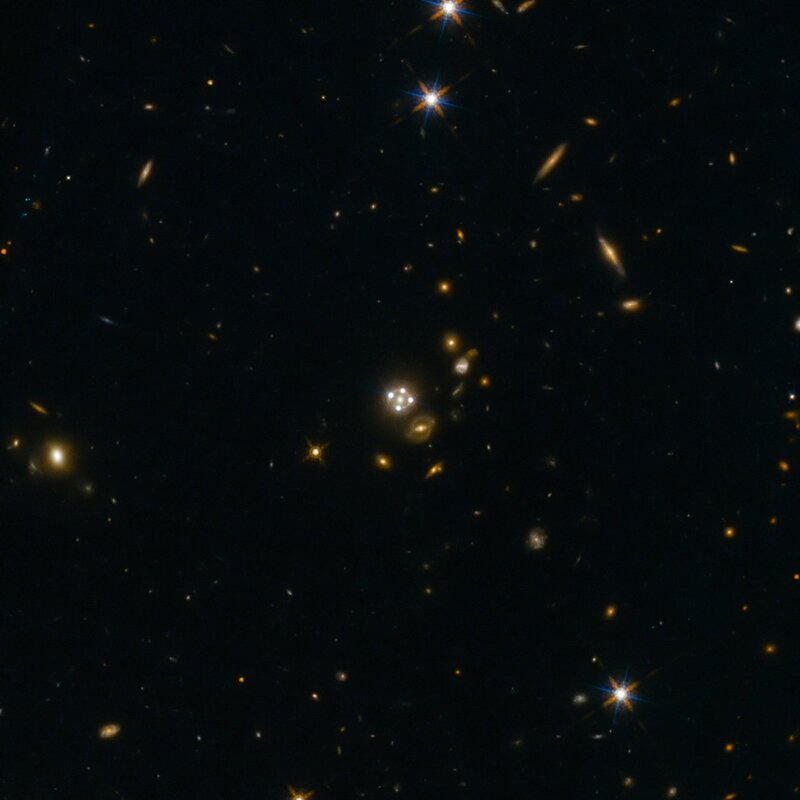 Quantifying the effect of mass along the line of sight to the gravitational lens HE 0435−1223 through weighted galaxy counts", by Rusu et al., "H0LiCOW IV. 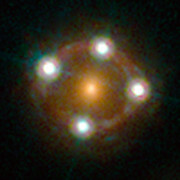 Lens mass model of HE 0435−1223 and blind measurement of its time-delay distance for cosmology", by Wong et al., and "H0LiCOW V. New COSMOGRAIL time delays of HE 0435−1223: H0 to 3.8% precision from strong lensing in a flat ΛCDM model", by Bonvin et al.